The Brooks D'Lite Reversible Racerback features an ultra light fabric that is double layered in the front for an opaque look and single layered in the back for more breathability. It's semi-fitted and doesn't to you at all. I found it to be comfortable and flattering. I especially like the gathered racerback detail on the back. The UnderArmour HeatGear Compression Shorts feature a tight, second-skin like fit that is designed to keep your muscles feeling fresh and to improve recovery time. With 4-way stretch construction to accelerate dry time and a signature moisture transport system to wick away sweat, these shorts have it all. 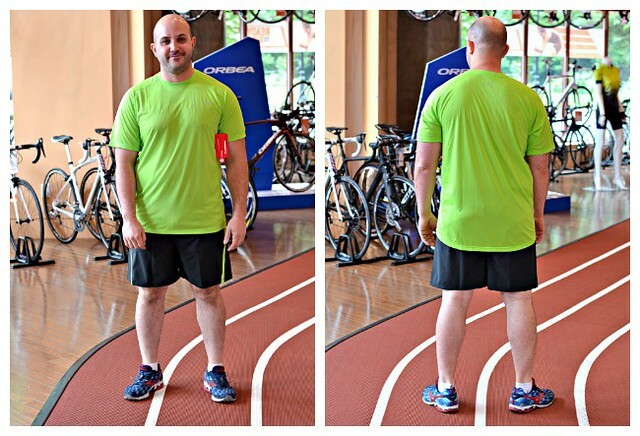 I am usually not a huge fan of fitted shorts for running but these featured a wide, comfortable waistband and didn't ride up. This UnderArmour tank is both cute and functional. It's soft, lightweight and is built with tiny pinholes that you can't see here that are designed for ultimate breathability. The tank also features Flatlock Seams to prevent chafing. And these Saucony Split Shorts were awesome! I loved the shorter length (2.5 inch inseam) and they're split at the sides with perforated panels to increase ventilation. They also have a back zipper pocket to hold small items. I have to say that this might be the first time I have ever worn a running skirt...and I actually kind of loved it! It was both stylish and functional with a slim athletic cut and a soft fabric feel. The skirt includes built in compression shorts with grippy tape on the hem to help them stay in place. And like the compression shorts in look #1, this skirt has a moisture transport system to wick away sweat and keep you dry. The skirt has a wide waistband and a zippered back pocket. 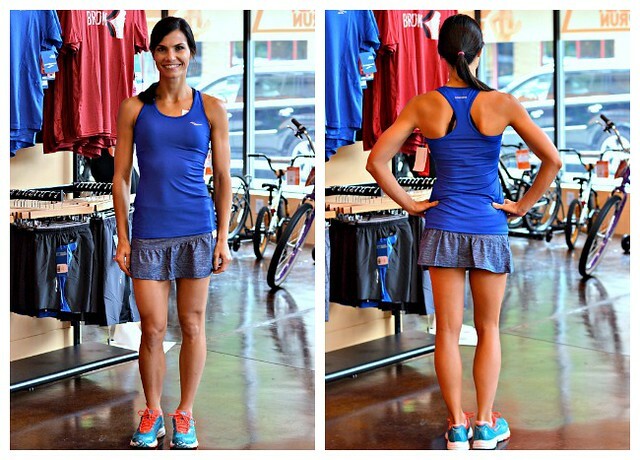 This look called for a more fitted top so we turned to Saucony's Racerback Tank. It fits long and lean and the fabric is made to manage sweat. Jerry from TrySports served as my model for the men's looks. The Hydralite short sleeve shirt features a grid construction for breathability and sweat control. The Run Lux shorts include a lightweight, moisture wicking shell and a soft brief liner for maximum comfort and support. Jerry was ready to hit the road in the second men's look. 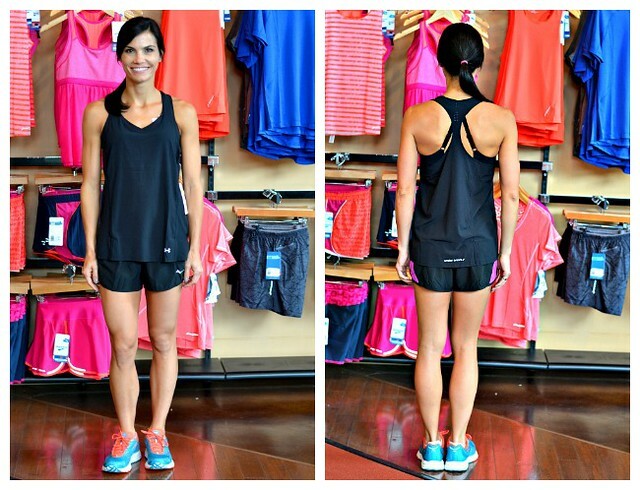 The Brooks Race Day Singlet is lightweight, seamless mesh fabric that is easy to move in. The Sherpa Shorts are Brooks most popular running short. They have a 4.5 inch inseam and a relaxed fit with a stretch-woven shell and a 100% moisture-transfer liner. Dual holster pockets will hold your energy gels. 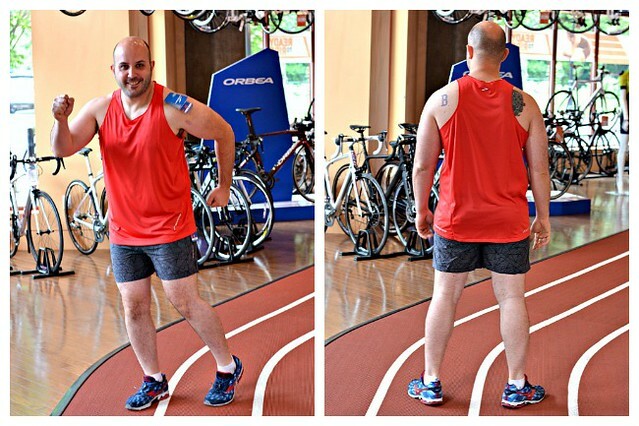 What are you wearing this summer to keep you cool on the run?